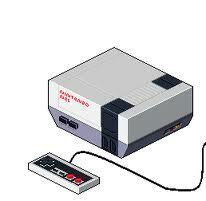 In the 80-90s era, kids play video game with Nes (Nintendo Entertainment System), No wonder if I was one of them. I had a console, and I want to remind what were the most memorable nes games. I want to make it six games. The games are related with my personal opinion, result may vary. Always...always this game, ofcourse because this is the icon of Nintendo, something that I've noticed, I haven't finish this game. But sometimes I play it when sometimes I stuck in level 4. If there is a retro-game which could be remake as multiplayer online game, i'll choose Battle City. The game is endless and neverr make me bored to play with. I like when we can design our stage free, but in the first time only. The next stage, the difficulty is challenging. Five same levels and strange road shape plus red racing car which race without fair enemies is the point of this game. We just drive untill finish to avoid the yellow and the blue cars, moreover annoying trucks and traps. When you play this game without get crashed before finish, you will meet a superman. That's memorable. I think this game is the most of original motorcycle-racing game in the gameplay. A racing game with side-scrolling camera, something that we rarely find in video games nowaday. Just drive straight without turning except to avoid the obstacles or another racers and be the most fastest racer. Two things that we can remember, overheat machine and no brakes. A side shooting-scrolling game, it was the most difficultiest game ever due the complexiness in the next stages. And besides we just had three life to play, its hard to reach final boss except you use save-state feature on emulator.